It is a depressing reflection of our times, when many of us heaved a sigh of relief when neither of the two Israeli documentary Oscar nominations received awards. In the current perverted environment, it has become a hallmark of left liberal political correctness to project Israel as a racist and colonial implant imposed on the Palestinian underdogs, even if that necessitates a distortion of reality. In Israel, practitioners of the arts, especially film producers, are conscious that creating a work which besmirches their nation enhances their prospects of achieving global recognition. That, in part, explains why so many recent Israeli films with a social or political dimension designed for international consumption, have tended to be masochistically critical and demeaning. What makes this even more bizarre is that in many cases, rabidly anti-Israeli films are subsidized by the Israeli taxpayer. This was exemplified by the Israel bashing documentary “Five Broken Cameras” which depicts protests against the construction of the security barrier in Bilin without even a hint as to why a security barrier and checkpoints were required. It demonizes Israel’s administration of the disputed territories and portrays the IDF as cruel heartless tyrants whilst presenting Palestinians as noble underdogs. It is co-directed by an extremist leftist Israeli who supports global boycott of his country and a hostile Palestinian, who had the chutzpa to demand that the government-subsidized documentary not be designated as an Israeli production. Most Israelis would consider it the height of insanity for the government to fund and effectively bestow legitimacy to an enterprise engaged in a global campaign to defame, challenge its right to self-defense and delegitimize it. The other Oscar nomination, “The Gatekeepers”, raises far more complex issues. Yet it is likely to inflict considerably greater damage to Israel’s standing than the cruder propaganda production. 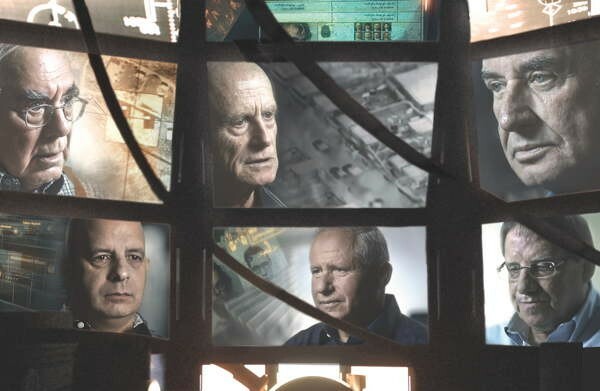 This documentary, directed by Dror Moreh, is based on over 70 hours of interviews with five former heads of the Shin Bet from 1980 to the present, all of whom served the nation with distinction. We are unable to ascertain whether the extracts presented reflect fair and balanced views of the participants but, to date, none of them have protested that they were misrepresented. The film unquestionably portrays Israel negatively. It is presented as a colonial implant and is replete with harsh denunciations of alleged torture, racial discrimination, targeted assassinations, needless violence and oppression in the disputed territories. It depicts cruel military commanders “winning the battles but losing the war”. Avraham Shalom, one of the former Shin Bet heads, initially states that “with terrorism there are no morals” and any measure to save innocent lives is warranted. But towards the end of the film he remarks “we became cruel” and challenges the morality of current policies. There is even an obscene analogy between Israeli and Nazi occupation policies – implying that we practice genocide, ethnic cleansing and apartheid. This extremely critical presentation raises other important issues. 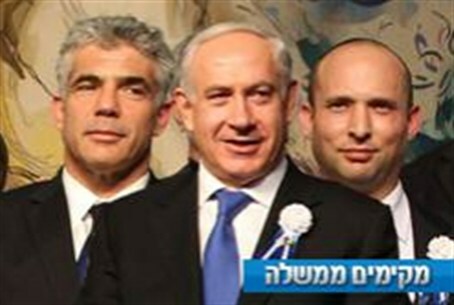 Without in any way detracting from their service in defense of the state, we are not obliged to treat these five former heads of Shin Bet as sacred cows. One is entitled to ask why did they remain silent in office and refrain from expressing such views until their retirement? If they felt so strongly about these issues why did they not resign? There are surely serious questions of propriety involved when senior intelligence officers, upon retirement, become bleeding hearts and engage in publicly undermining the policies implemented throughout their career. Particularly so, as this was not the first outburst of this nature by former Shin Bet heads. In 2003, four former Shin Bet heads publicly called for unilateral withdrawal. We are all conscious of the disastrous consequences which resulted when Ariel Sharon implemented their recommendations and uprooted the Gaza settlements. The territories ceded were immediately overtaken by Hamas and employed to launch missiles deeper into Israel. However, my principal ire is directed towards Dror Moreh who, aware that his production could have major international impact, should at least have placed the alleged suffering and victimization of Palestinians in context and not dealt with such issues almost in isolation. Moreh provided insufficient emphasis to the context of terror which obliges Israel to take tough steps to to defend the lives of its citizens. He should have laid greater emphasis on the swarms of suicide bombers targeting and murdering more than 1100 innocent Israelis during the Second Intifada; the genocidal hatred and calls for the annihilation of the Jewish state; the brainwashing of Palestinian children from kindergarten age upwards into believing that the highest Islamic objective is martyrdom by killing as many Jews as possible; the impact on a quarter of the Israeli population traumatized by 13,000 missiles launched against them between 2005 and 2012, obliging them and their families to spend much of their time in underground shelters. He should have mentioned that Prime Ministers Ehud Barak and Ehud Olmert were rebuffed after they had offered 95% of the territories over the Green Line to the Palestinian Authority and that despite Prime Minister Netanyahu having imposed a 10 month settlement freeze and called for negotiations without preconditions, the Palestinians rejected all these offers. Instead, Moreh used his documentary to repeat the mindless mantra “end the occupation”. None of those interviewed suggested that terror would end if Israel withdrew from the disputed territories nor did they propose any constructive solution. They are fully cognizant that the vast majority of Israelis yearn to separate themselves from the Palestinians and have no desire to rule over them. But they realize that to do so unilaterally, in the absence of adequate security arrangements, would effectively be committing national suicide. The fact is that Moreh produced a film with an agenda which, according to former IDF Chief of Staff and Deputy Prime Minister Moshe Ya’alon, amounted to a deliberate mission to promote a distorted Palestinian narrative demonizing Israel. Moreh himself confirmed this when he explicitly expressed the hope that President Obama, Secretary of State Kerry and Defense Secretary Hagel would see his film and be encouraged to exert greater pressure on the Israeli government. There were protests that the government is employing taxpayer funds to subsidize global anti-Israeli propaganda. Minister for Culture, Limor Livnat expressed reluctance to introduce what she feared could be condemned as political censorship. However she called on responsible film producers to exercise restraint, knowing the severe damage they can inflict on Israel in the war of ideas by pandering to the propaganda of our enemies. She also urged them to acknowledge the sensitivities of the thousands of Israelis who lost loved ones and suffered in the course of the Palestinian terror. 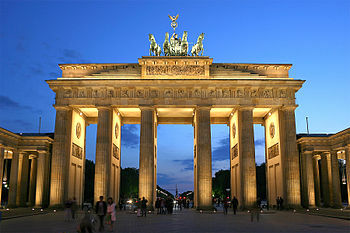 We all look forward to the day when talented producers emerge from our ranks who will create works displaying our extraordinary achievements to the world and that, despite being the only nation in the world under continuous existential threat, we remain a vibrant democratic state in this regional cauldron of Islamic tyrannies. In the meantime, without implementing full blown censorship, we should find a means to bring an end to the lunacy of employing Israeli taxpayer funds to promote global anti-Israeli propaganda designed to defame the nation.